Black Rose Writing, 9781612968551, 196pp. Lucas and Grinder are more than a little surprised and confused to hear that their mother, Millie, who they haven't heard from in over thirty years, has died. Now her best friend wants them to come to Pittsburgh to take care of their mother's effects, chief among them being Paul. A road trip ensues with memorable stops at a Racino, a Pittsburgh landmark greasy spoon, and finally a ride on an incline trolley to meet their mother's friend, Janice. 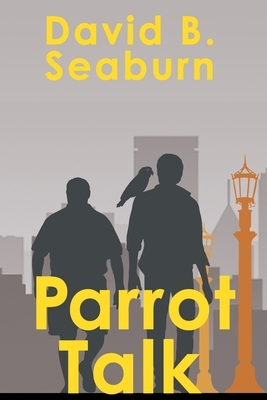 They are taken aback when she introduces them to Paul, an African grey parrot in the depths of grief, who has things to say that will change their lives. And so a transformative adventure begins.